With WPTools You can place multiple paragraphs and even other tables inside a table cell. 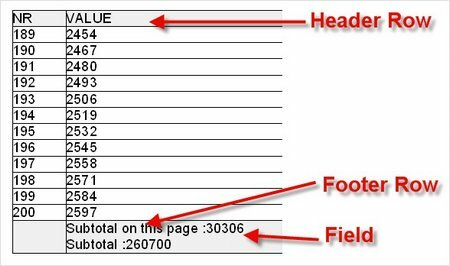 The formatting procedure is capable enough to create page breaks within a table row, even if this row contain another table. Of course this is a format option which can be also switched off. The developer sees a table as nested paragraph objects. It is possible to access each cell using the Rows and Cols arrays. It is also possible to repeat certain rows after a page break to create header areas.